The Society for Immunotherapy of Cancer (SITC) is dedicated to cultivating the next generation of cancer immunologists and immunotherapists. Young investigators (early career professionals and students) are encouraged to take advantage of tailored education offerings and unique social opportunities while at SITC 2017. Thursday, November 9 · 12:30 – 1:30 p.m. The Meet-the-Expert Lunch focuses on unique issues related to the career development of early career scientists. Following an introductory presentation by the Early Career Scientist Committee Chair, well-recognized leaders in the field will facilitate roundtable discussions and answer questions on particular areas of interest. Learn more about this fun opportunity, including a list of table topics, educational objectives and the intended audience, by clicking here. Thursday, November 9 · 1:30 – 5:30 p.m. In an effort to provide early career scientists and young investigators with the tools needed to succeed, SITC, in collaboration with the Early Career Scientist Committee is proud to offer a Grant Writing Workshop. This workshop will provide attendees with a framework of basic grant-writing and immunotherapy protocol development. Advance registration is required for this program. To secure your spot, register now. 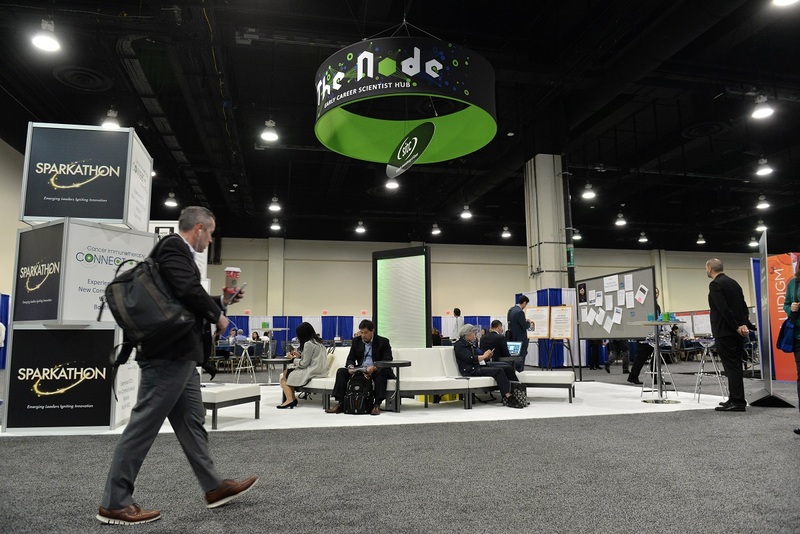 Visit SITC’s Early Career Scientist Hub, The Node, specifically designed as a place for early career attendees to network, collaborate and relax. Located in the Exhibition Hall, you can visit The Node to meet other attendees – talk about the latest science, grab a quick snack, recharge your mobile devices and browse the SITC 2017 Job Board. Friday, Nov. 10 · 9 – 10 p.m. This event, hosted by the Early Career Scientist Committee, will allow all early career scientist attendees to meet colleagues and make early connections that can be fostered throughout the rest of the conference. Join your peers at the trendy bar and grill inside the Gaylord National Hotel & Conference center for this information networking event. Meet at the Presidential Reception and head to the networking event as a group! Click here to learn more about the fellowship awards available this year. Lean more about these awards and past recipients by clicking here. Find more information on Travel Awards here. The ECS Committee's mission is to promote career development and provide access to the support and resources early career scientists need to succeed. To achieve this mission, the ECS Committee partners with SITC leadership and uses their knowledge and expertise to address the needs of early career scientists in the fields of immunology and biological therapy. Members of the ECS Committee include students, post doctoral fellows-in-training and early career professionals in academia, industry and regulatory agencies. ECS Committee members participate in many activities and continually seek opportunities for early career scientists to advance SITC's mission and programming. Get more information about the ECS Committee here. Early Career Scientist representation is integrated throughout the breadth of SITC committees and task forces, thus offering opportunities for young investigators to influence progress in the field of cancer immunotherapy through service to the society.